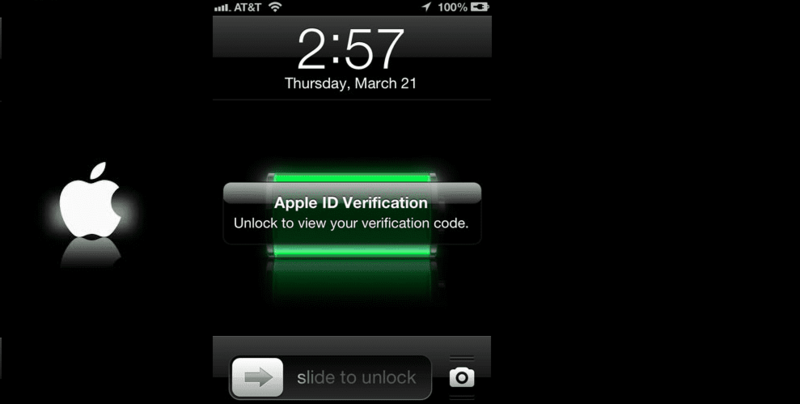 Apple has joined the growing list of companies offering two-step verification to secure user accounts. By enabling two-step verification, whenever you attempt to log in on a new device with your Apple ID, you will be asked to enter a 4-digit verification code. This code will be sent to a device that you have registered as a trusted device, such as your iPhone, via a Find My iPhone notification or SMS. 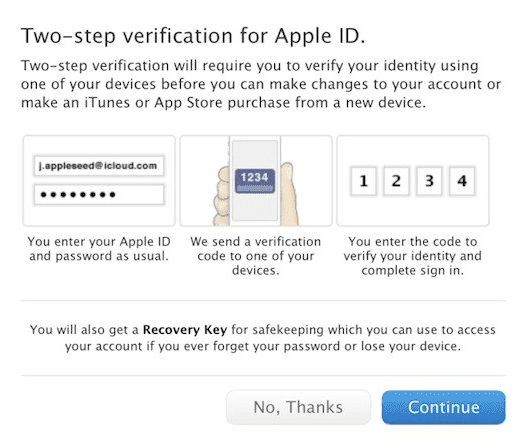 Apple has finally come on board with a two-step verification process for Apple ID and iCloud users. Not surprisingly, the system works much the same as with Google and others: you first need to enable it on the Apple ID website, then you can use your mobile device to receive verification codes as needed (either via text message or the Find my iPhone app) to sign into various Apple services. You can also stash a recovery key away in the event you lose or are locked out of your phone. In our testing, it appears that the functionality is slowly rolling out to US-based users, but in practice, the changes aren’t actually sticking. We’re hitting plenty of time-outs, and even after registering a device, we’re noticing that the verifications aren’t sticking within the Apple ID account. If you’re running into issues, you may want to just wait as Apple irons out the kinks. Users who choose to enable two-step verification will also want to create a Recovery Key and keep it in a safe place. This Recovery Key will ensure that even if you lose your trusted devices, you will still be able to regain access to your account. It’s a little bit like trusting a neighbor with a spare house key in case you ever lose yours and can’t get into your house.